Bob is the founding partner of McCollum Crowley. He has tried well over 100 civil cases to conclusion in multiple jurisdictions. Bob represents clients involved in complex litigation, including products liability cases, claims of professional misconduct, construction claims, personal injury claims, and high-level insurance coverage disputes. 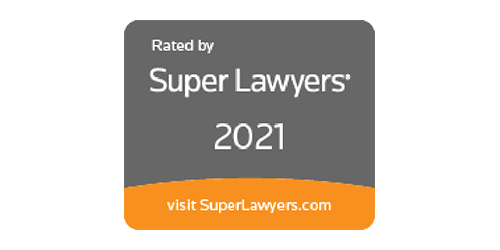 Bob has been recognized as a Super Lawyer since 2004 by Minnesota Law & Politics/Super Lawyers, carries an AV® Preeminent™ rating from Martindale-Hubbell, and has been designated a “Top Lawyer” in insurance law. For a number of years, he co-chaired the Minnesota Defense Lawyers Association Insurance Law Institute. In 2012, Bob received recognition as a North Star Lawyer based upon his pro bono service in authoring legislation to protect non-profits from claw-back claims, significantly reducing their exposure emanating from Ponzi schemes. Bob is proud of his four grown children and their accomplishments. Over the years, he actively participated in their activities by coaching their teams and attending their events. He has run six marathons but now spends leisure time on less strenuous activities such as playing golf. Bob believes it is essential to give back to our communities. He has served on the Board of Big Brothers Big Sisters of the Greater Twin Cities for a number of years and was previously recognized by Children’s Home Society for his service coordinating the delivery of children adopted from Korea to their parents.